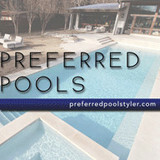 With over 30 years of experience, Preferred Pools Inc. has earned the reputation of building quality custom projects that last. We pride our company on exquisite custom design that caters to your taste while enhancing your ideas with an awe-inspiring final product of the highest structural and material integrity. About Us – BH-USA, The Company You Can Trust BH-USA is a family-owned and operated company with more than 40 years of experience in the boat lift industry. The company humbly began as Lift-Tex, Inc. in the late 1970s, in the small home garage of its founder, Max Wilson, and has steadily grown to what it is today. Our line of flat plate hoists is manufactured with precision in the Longview, Texas facility, and are the only hoists that have a lifetime warranty. Our hoists lift more, run smoother and last longer than most other brands, and are the proven choice of professional installers and dock and pier construction companies. BH-USA supplies dealers and marine contractors nationwide. We offer competitive pricing and quick delivery on all orders. We stock one of the nation’s largest selections of dock and pier equipment in our warehouses. BH-USA is also a leading supplier to the dock and pier builder. Customer service and loyalty is a time honored tradition with us, and one of the reasons companies trust us when purchasing all of their supplies. Our customer service department is highly motivated and trained to help you with all aspects of your order. Our staff is what makes BH-USA the best in the industry, but it is our dedication to our customers that makes us the company you can trust! 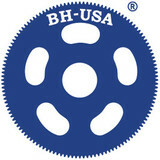 BH-USA can also be found in hardware stores and lumber yards, check your local market for our products. If you are a builder, storeowner or dealer, and you do not already have an account with us, please fill out the online dealer application to see what BH-USA can do for you. At Lone Star Exteriors, our work is our pride and reputation. We strive to offer the best materials, highest quality craftsmanship, and the most affordable prices. When the time comes for you to hire a home exterior contractor, we are the company to choose. With over 12 years experience we have the knowledge and the skill to protect your investment and complete every job on time and at or under budget. As the owner of Lone Star Exteriors I am present on every job to make sure that every phase, from start to finish meets our strict quality standards of materials and workmanship. I am a Vinyl Siding Institute certified installer and a member of the National Rain Gutter Association. 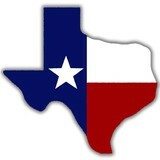 Lone Star Exteriors is also an accredited business with the Better Business Bureau (BBB) of East Texas. We treat every customer and every job, no matter how big or how small exactly the same, with the respect and integrity that you and your home deserve. I am so confident in our work that we offer a lifetime labor warranty with all of our installations. Our pride in the job that we do and the services that we provide extends to all of our community. We live here, in East Texas where we raise our families, send our children to school and go to church the same as many of our friends and neighbors. We work for you and we never forget it. When it comes to choosing a home improvement specialist we ask that you invite us into your home and we'll talk about how Lone Star Exteriors can best protect your investment. Give us a call. I guarantee you'll be glad you did. We look forward to the opportunity to do business with you. 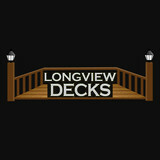 Offering quality built decks at a fair price let us build your next back yard get away. If you dream it we can build it. All outdoor equipment to make dining outside a pleasant experience. What services do deck and patio builders in New Chapel Hill, TX provide? To help you choose the ideal style, configuration and materials for your deck or patio, your deck and patio contractor will survey your New Chapel Hill, TX lot and your home to come up with a design that complements your exterior as well as being structurally sound. He or she will recommend sizes, heights and construction materials that suit your lifestyle and climate, as well as explain the best stain or finish options. Additionally, deck and patio professionals can provide insight into additional components such as outdoor kitchens, patio covers, fire pits, outdoor lighting, arbors and more. Your deck and patio professional might work closely with another New Chapel Hill, TX lawn and landscape professional. Here are some related professionals and vendors to complement the work of decks, patios & outdoor enclosures: Landscape Architects & Landscape Designers, Garden & Landscape Supplies, Stone, Pavers & Concrete, Landscape Contractors, Building Supplies. Find a deck and patio builder in New Chapel Hill, TX on Houzz.